No matter what curriculum we choose for our families, adding in some “real books” can add a powerful punch. 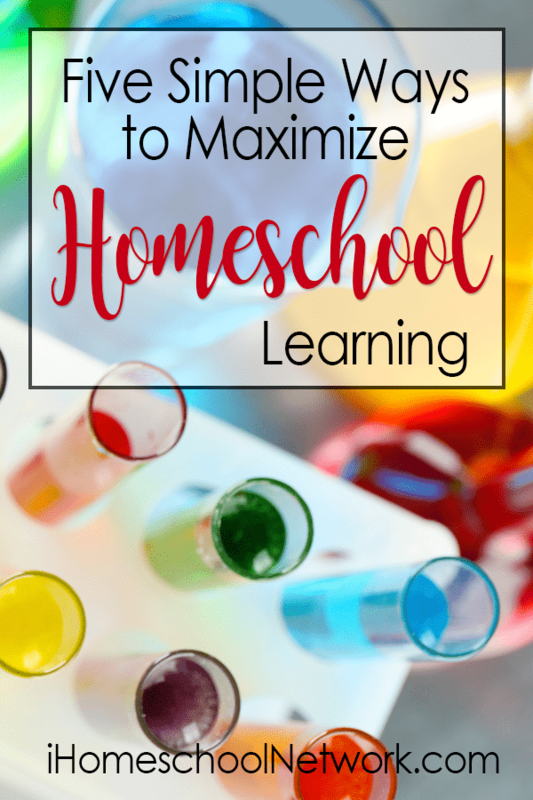 In the homeschooling world, you will hear the term, “living book.” The term was coined by Charlotte Mason and refers to books that is well-written and engaging. If you can find a good story that weaves in what you are learning about it can do wonders to captivate their interest and solidify what you are learning. Read good books and read WHOLE books. Don’t settle for reading snippets from great literature. It is far better to read five books in their entirety and discuss them over the course of a year than to read portions of 20. Go deep and immerse yourself in a few rather than glossing over many. This is my go-to resource for making learning hands-on because it requires little-to-no-advance planning and oftentimes no mess. When it comes to crafting, there are the supplies to collect, the inevitable mess to clean up afterwards, and then the problem of where to display and then store those creations unless you are fortunate enough to sneak them into the trash under the cover of darkness. But acting something out? That’s as simple as standing them up, getting them moving, and encouraging them to talk! Just last month, we were reading about the chemical properties of solids, liquids, and gasses. I could see that everyone needed to move and that my youngest wasn’t tracking with us, so I announced that we would act this out. We talked about how solids were locked into a rigid position with other atoms, and that liquids flowed together in fluid like motion, and that gasses were independent atoms who flailed about everywhere. After they dramatized each one, I made it a game by calling out one of the three states of matter and seeing how quickly they could act each one out. When it comes to history, it is even easier. If you are reading about the Berlin Airlift, build a block Berlin and then fly a constant stream of planes in to the city. If you are reading about the Revolutionary War, have them dramatize “The Shot Heard Around the World.” Studying the Alamo? Have them recreate the battle with LEGO® bricks. The beauty of this is that it puts them in the driver’s seat to recreate something which engages their minds to a greater degree than if you were merely inputting information. I will never forget the year I ditched our attempt at a perfectly to scale replica of the Jewish tabernacle in favor of allowing the kids to do it themselves by making a walk-through model. It wasn’t pretty, but it made a lasting impression. When it comes to textbook time or working on a writing assignment, we don’t have to confine our kids to a desk (or the dinner table). Simply encouraging them to use the kitchen counter as a standing desk works wonders to keep active bodies engaged. Some of us simply need to move more than others and spending more time standing up can really help. If you have a kid who is struggling to master the multiplication tables, have them march around the dining room table while they recite them. There is a powerful link between muscle memory and learning that helps unlock learning retention! If you have homeschooled for any length of time, you have provably realized that you are getting a fabulous education. There is something about having to explain something to someone else that helps one understand something at a deep level. We help maximize our children’s ability to learn when we encourage them to be the teacher. Educational philosopher, Charlotte Mason, refers to this as “narration.” Encourage your child to explain to you what they have learned. Give them opportunities to tell others what they are learning – whether that is dad at the dinner table, a grandparent via Skype, or even a skeptical pediatrician. All these ways to maximize learning except for the first one have one thing in common; they all utilize MOVEMENT! Movement works wonders and whenever my kids get squirrely or listless and I can see that our focus and productivity have taken a nose-dive, I call for a brain break. A brain break is simply a quick movement break that is designed to wake up the connections in the brain and/or give the brain a fresh boost of oxygen so it can function at peak capacity again. Of course, sending them outside to play has the same effect. But it can take a herculean effort to gather them back to finish whatever it was that they were working on. That’s why I prefer using brain breaks for those times when my kids really need to buckle down and focus. They are up, moving for 1-3 minutes, and then we attack our work with renewed focus and energy. Implementing these simple strategies not only helps to maximize learning but allows us to create a more enjoyable learning experience. And when we give our children the gift of a love of learning and the knowledge of how they can make this happen, we set them off on a life-long adventure. 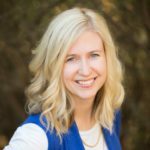 Recognizing the brevity of childhood and the power of a parent’s influence, Heather both inspires and equips families toward intentional parenting, pursuing God, and delighting in the adventure of learning. Heather is the author of the book Knights-in-Training: Ten Principles for Raising Honorable, Courageous and Compassionate Boys as well as The Ultimate Guide to Brain Breaks. She writes at heatherhaupt.com and is the mother of 3 knights-in-training and 1 spunky little princess.